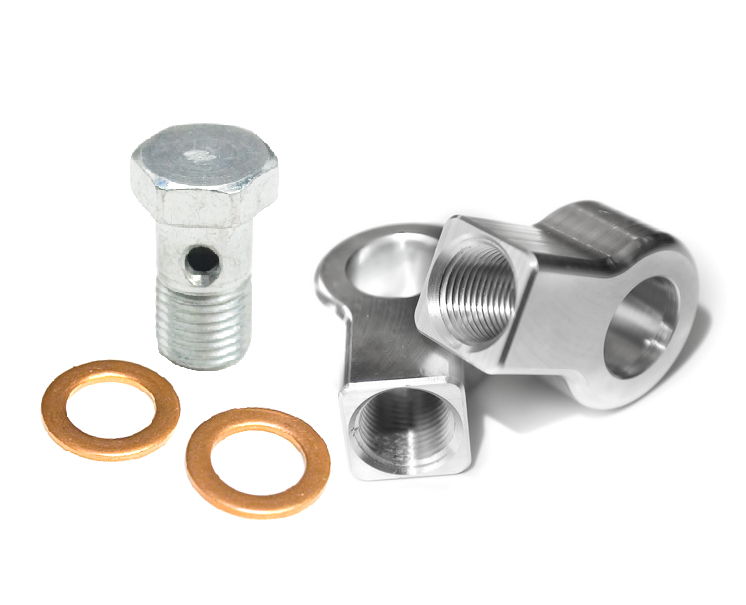 Banjo fitting kit for coolant connections on GT40R/GT42R turbochargers. 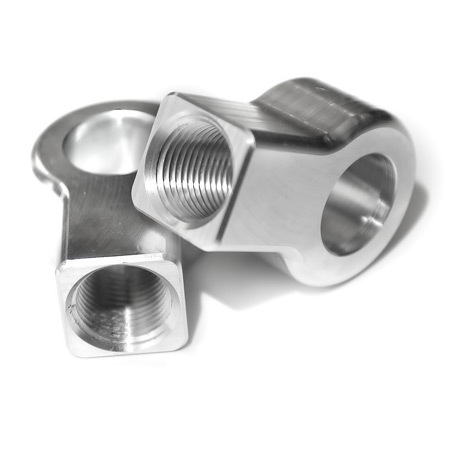 Banjo fitting threaded female end is 3/8" NPT. 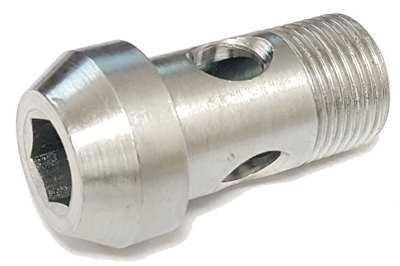 Add-on option includes either 3/8" NPT to -6AN flare fitting OR 3/8" NPT to barb fitting.